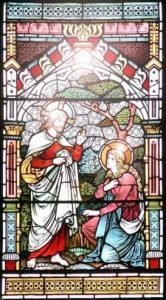 Was there a secret marriage between Jesus and Mary Magdalene, or was Mary Magdalene one of the first feminist theologians of the New Testament period? Did Jesus have female disciples? The book of Pistis Sophia reveals in its dialogue the true relationship between Jesus and Mary Magdalene. It portrays a deep spiritual relationship between the two, which is different from that suggested in Dan Brown’s best-selling novel The Da Vinci Code, but is revealed in the Pistis Sophia. This book, whose title unites the Greek words for “Faith” and “Wisdom”, was used as a sacred text by the early Coptic Church community of Egypt in the 2nd century AD. Sophia (Wisdom) itself was regarded by the early Coptics as a female presence who undergoes the experience of transgression and redemption in her path to full participation in the many universes, in conjunction with the Christ. The Coptic Christian documents found in Egypt, like the Dead Sea Scrolls found in Israel, are important in reconstructing the lost years of Jesus and give us in-depth insights into his works and his teachings. 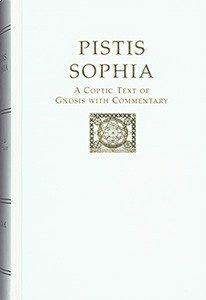 Like the Gospel of Thomas and other recently discovered documents of the Nag Hammadi Library, the Pistis Sophia is devoted entirely to the esoteric teachings of Jesus to his disciples. This ancient text presents deeper aspects of the teachings of Jesus of Nazareth and his detailed deciphering of the mysteries of the universe. These teachings for the most part give a new perspective of the four gospels of the New Testament and the Old Testament book of Psalms. In this edition of Pistis Sophia, Dr. J.J. Hurtak, scholar and orientalist, and D.E. 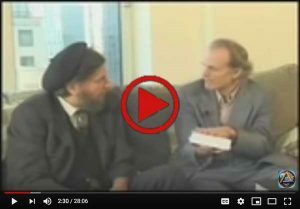 Hurtak, social scientist and researcher, provide extensive commentary to help you understand the original texts which are included in their entirety in a newly revised translation, and guide us through the extraordinary plight of Sophia (Wisdom) into a fuller understanding of the world around us. For more information on this book click here.